Metamora Township is located between Oxford and Lapeer. 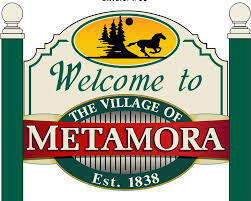 Metamora's namesake was derived from a Native American term meaning "among the hills". Offering wide open spaces with elevations from 903 feet at Lake Metamora, to 1280 feet at Mount Christie, it definitely does sit on a higher plane. Even in times of growth, the Metamora community holds on to its historical and country traditions. Metamora is a place where you can escape from the fast pace of city life to the old town atmosphere. One of Metamora's famous landmarks, the White Horse Inn, located is a famous eatery. The beautiful land of the Metamora countryside has drawn horse lovers to this community. The famous Metamora hunt has been active in the art of foxhunting in Metamora for generations. The Detroit Area Boy Scout Ranch is on E. Sutton Road and the Metamora Girl Scout Camp is on Caley Road in Metamora. 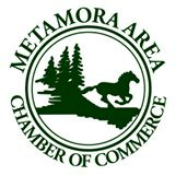 Metamora Township not only has golf and waterfront residential living, but it is also known for its wide open large parcels of land for horseback riding and agriculture. We have a variety of businesses along the M-24 corridor and also in the village. There is an industrial park located just south of the village. This community takes great pride in its volunteer fire department and full time police protection. Residents work together to provide the community with special events like Metamora Days. This late summer heritage celebration includes an antique car show, parade, crafters, and the spectacular assembly and launch of colorful hot air balloons. The community is also invited to attend the annual Christmas tree lighting and enjoy concerts in Harmer Park. Metamora Township is proud of its heritage and strives to maintain country living for residents choosing our community.